The location is pretty good but the stuff were bad and no free wifi. We got stucked outside the hotel in the night because the stuff were not in the hotel. ski in ski out. Value for money. Room size is not big but clean and functional. Excellent location just next to the lift. Very good value to cost ratio. 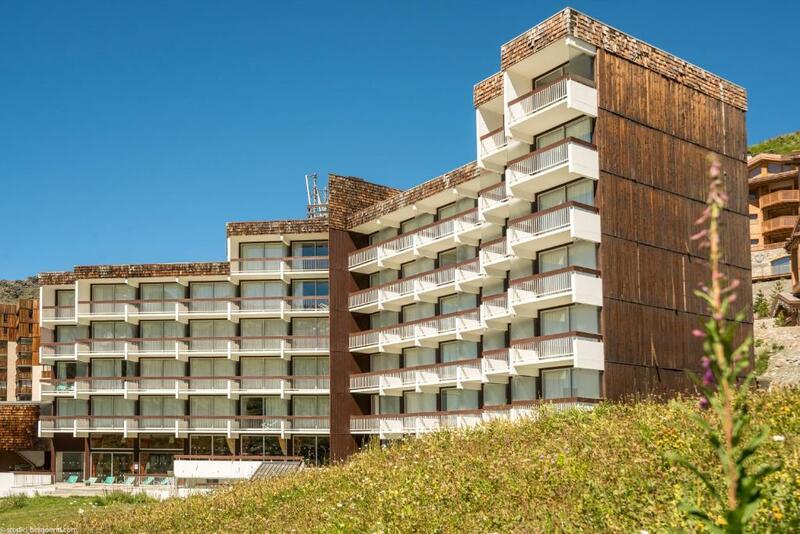 Convenient apartment for a couple, with excellent views of the mountain. Would stay again. Living space was fine for 3 people, (would be fine for a family of 4). Reasonably quiet. The beds were comfortable and their pull out design was the most versatile we have come across, e.g. went from large family sofa to large comfortable bed in a matter of seconds! It was basic and no frills but perfect for a budget accommodation where you want somewhere warm, quiet and functional. There were dividers between the balconies which gave us lots of privacy. It was close to the slopes so ski out was excellent but the ski in at the end of the day became full of moguls so we opted to walk across and up the slope to the lockers (only a few minutes). Given the price we would certainly return. Location! Right on the main slope. 10 steps out of ski room - and you are on the ski run. Yet - it is at the quite end of the town, away from the 'party' district. So it is quite at night. Staff is friendly. We did not have any problems with noise - may be because it was a corner unit, may be we had quite neighbours. The groomers would finish their job well before 10 pm so we did not hear any outside noise. The apartment is small, as it was expected, but functional. Excellent value for money with great views over the mountain. Genuine ski-in, ski-out located on the side of a red run used to end the day. Very comfortable beds. staff were lovely and friendly, room was perfectly spacious and well equipped for two people. Location was amazing, ski in ski out! Bakery to your door in the morning was the best! All topped off by an awesome price! Fabulous ski in / ski out. Bunk beds actually big enough for an adult ( but see comment above )! Overall quite spacious for 2 blokes. Plenty of storage space in the cupboards and actually well laid out for a ski apt ( again see comment above ). 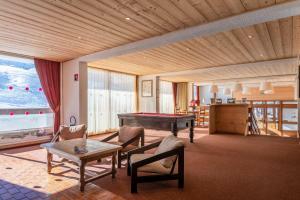 The staff is very kind and friendly, location is excellent and the hotel is situated on ski slops. Lock in a great price for Résidence Pierre & Vacances Le Gypaète – rated 8.2 by recent guests! 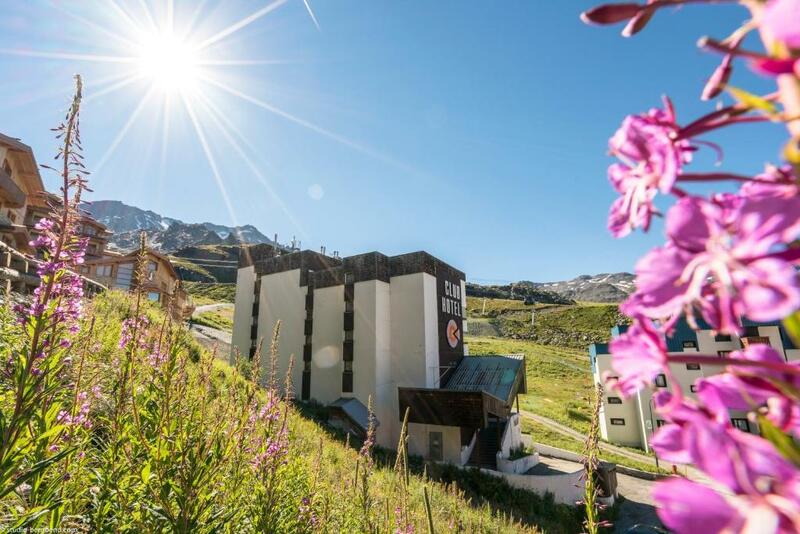 Located in Val Thorens Ski Resort and 1,000 feet from the city center, Résidence Pierre & Vacances Le Gypaète offers a wellness center and studios with a balcony. The residence benefits from ski-to-door access. After a long day of skiing or snowshoeing, you can rest in the seating area of your heated accommodations. The studios provide a kitchenette with kitchenware and a refrigerator. You can sample your homemade meals in the dining area. A restaurant can be found at the residence. The residence is located 39 mi from Borg-Saint-Maurice. A local sports center has a range of activities, and children will enjoy the kids' clubs available in the resort. Preferential rates are available for via ferrata, canyoning and paragliding activities. 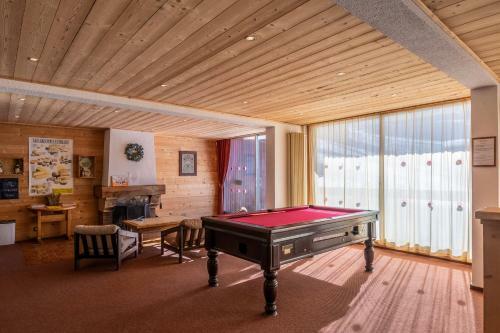 This is our guests' favorite part of Val Thorens, according to independent reviews. 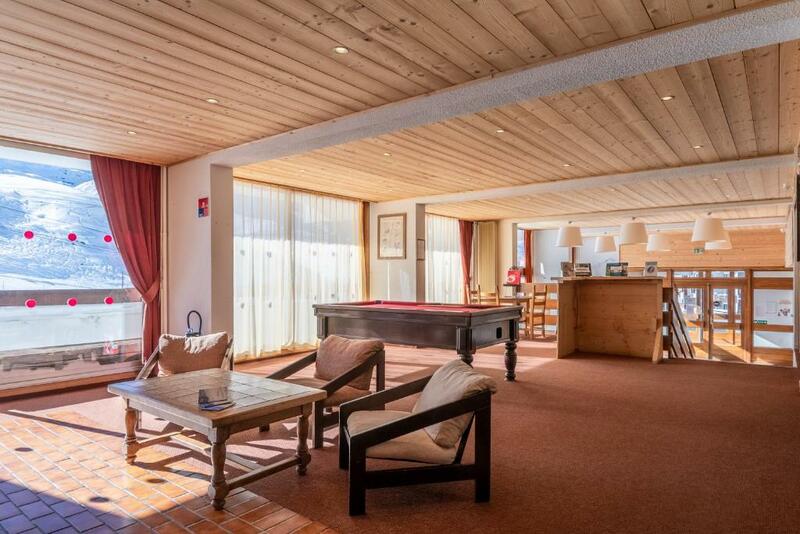 This property also has one of the top-rated locations in Val Thorens! Guests are happier about it compared to other properties in the area. 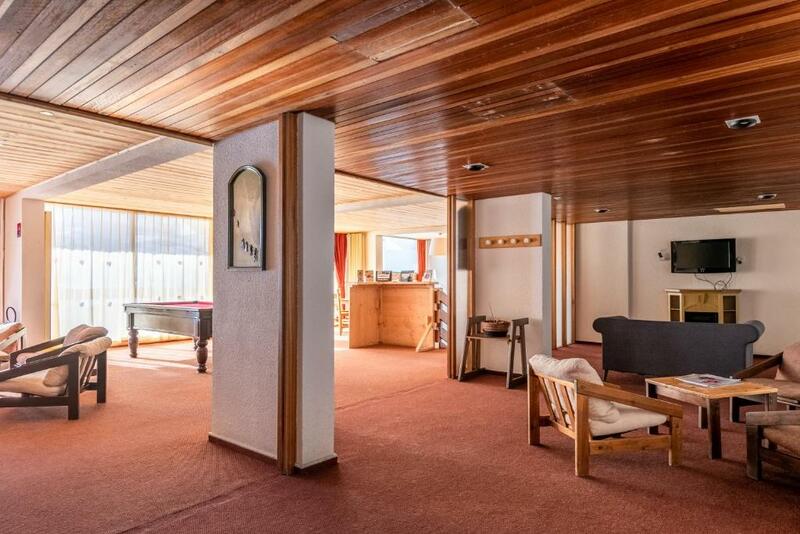 This property is also rated for the best value in Val Thorens! Guests are getting more for their money when compared to other properties in this city. 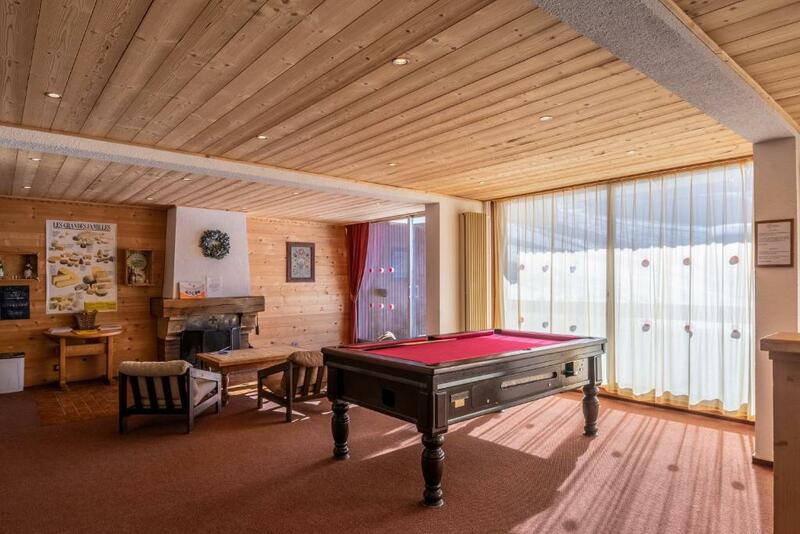 뀐 Located in the top-rated area in Val Thorens, this property has an excellent location score of 9.4! When would you like to stay at Résidence Pierre & Vacances Le Gypaète? This studio offers a balcony and an equipped kitchenette. It is made up of a living room with a sofa bed and a separate sleeping alcove. House Rules Résidence Pierre & Vacances Le Gypaète takes special requests – add in the next step! Résidence Pierre &amp; Vacances Le Gypaète accepts these cards and reserves the right to temporarily hold an amount prior to arrival. Résidence Pierre & Vacances Le Gypaète accepts these cards and reserves the right to temporarily hold an amount prior to arrival. Cars are not allowed inside Val Thorens. It is mandatory for all visitors to pay to park in the car park outside of the resort during their stay. This is a public car park that does not belong to the residence. A baby kit, suitable for children under 2 years weighing less than 15 kg, is available at the property and charges are applicable. This kit is subject to availability and includes: 1 cot with 1 bed sheet and 1 high chair for infants from 6 months old. Decor was very tired. No kettle or toaster supplied. Tin opener did not work very well. We could hear other guests moving around in their rooms and talking and laughing, but most people were respectful for most of the time during sleeping hours. Had no issues with the temperature but at times it was too hot! You do have to turn the radiators on to adjust the temperature. Paid Wi Fi is terrible - works only 50% of the time. Looks like their hotspots cannot service all clients. The standard set includes neither a kettle nor a toaster nor a hair dryer. Those items must be requested and they are subjected to availability. We were lucky with a kettle and a hair dryer but all toaster had gone. French bread is very good though, you do not need to toast it. Not enough pillows, only one per person - a short trip to a reception - problem solved. The ski room does not have boot heaters. The place come without any consumables - so you need to buy dish soap, dishwasher tablets, dish sponges etc. On move out - either you need to take all those things or throw then away. A bit strange for a Canadian - in Canada apartments have those items and you cam always leave your leftover soap, tea and ketchup to the next tenants to use. 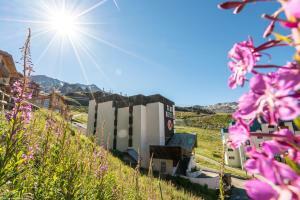 Overall - it is a good place for people who come to Val Thorens to ski - I mean, really - to ski and ski a lot. Expensive / value for money. Great view and very silent location. We were made return to our room after checking out to make the bed, empty bins etc in order to receive our deposit back. There’s no oven or kettle provided, just hob, microwave with cutlery. You have to check the cleanliness of the room on arrival and change all the bedding etc on arrival and departure. Something I have always had done for me, so not used to it really. Took us forever to find the hotel, as it had another name “park hotel” wtitten on the outside, which make it impossible to locate even when using google map or asking around. We had to go back to town and ask the tourism office, which was not easy with ski and laguage. Please highlight this to people who book to make it easier. Like most hotels walls are thin, we had no problems but can see if some people get bad neighbours they would be unhappy. It would be perfect if free WiFi service could be provided. The location on google maps is wrong - we wondered around for an hour. There is another place called “Maeva” on google maps - which is not this one. The actual hotel has a big sign Club Hotel - very confusing. Very expensive for very basic room. We paid wifi, and it didn’t work in our room - when we enquired about it we were told that noone ever complained about it and that was it. We had go to the lobby every time to catch signal. No drying facility in the ski room, it’s a cold basement, boots get cold and never dry properly. They key pickup is at a separate location 5 minute walk away from the apartment. WiFi is at an added cost, as well as towels and sheets. Cheap foam mattresses too hard. Walls paper thin - if the noisy kids next door want to get up at 06.00am......you will be up as well! The only ventilation is to open the patio door. No toaster. No washing up kit or tabs for the dishwasher. Just like every other French apt, not enough places to hang/dry kit!